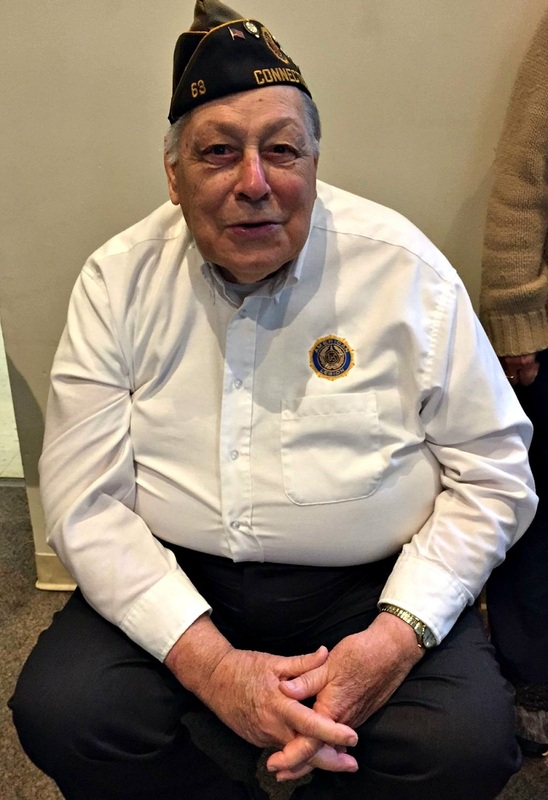 Once, Westport’s August Matthias American Legion Post 63 had over 100 members. One of America’s original posts — it was chartered in 1919, a few months after the Legion was formed in the wake of World War I — the veterans’ organization thrived after the 2nd World War. Now, however, Westport has only a dozen or so members on its rolls. Some spend much of the year in Florida. Many are World War II and Korean War vets. They won’t be around forever. The good news: Bill Vornkahl — Westport’s indefatigable veterans’ advocate, and a Post 63 member since 1954 — has pledged to build the post back up. The American Legion is one of 2 veterans’ organizations in Westport. Named for World War I soldier and Westport native August Matthias, it — like the rest of the Legion — is open to anyone who served in the military in the United States. The VFW — whose Joseph J. Clinton Post 399 is also named for a Westport veteran, and unlike the American Legion has an actual physical building, on Riverside Avenue — is open to veterans who served outside the US. For many years, Legion meetings were held at the YMCA downtown. Then Leo Nevas gave part of Birchwood Country Club property to the organization. Eventually Nevas bought back the land. The American Legion used the proceeds for scholarships. Over the years it also sent Staples High School students to Boys and Girls State, a summer government program; sponsored youth sports teams, and contributed funds to other civic organizations. American Legion posts around Connecticut also support Boy Scout and Girl Scout troops, and send students to State Police Youth Week. Here’s hoping it’s also the beginning of the revival of American Legion August Matthias Post 63. This entry was posted in History, Organizations, People and tagged August Matthias American Legion Post 63, Bill Vornkahl. Bookmark the permalink. I am a bit surprised this is the first comment. My reaction would be allow a period of time to elapse to secure more members and if a sufficient number is reached then review the cost/benefit/usage analysis. The ‘blog” had substantially no information on those issues. The land seems quite valuable and with support from the neighborhood might be used for some other purpose of benefit to our community and would be well received by the remaining veterans who are interested in the facility. This could be an opportunity, but for a while, probably up to a year, let the recruitment effort be pursued. Don, I’m not sure what land you’re talking about. As noted in the story, the post used to meet at Birchwood and the YMCA. There are no plans to use either facility for future meetings. The Legion is for all veterans while the VFW is limited by charter to only those veterans who served in an overseas combat zone and were awarded a medal for that service. Sadly, I suspect his pool of prospective members is pretty shallow these days. Nationwide military recruits come mostly from the south and midwest and the New England area produces the fewest. I know that among my Staples classmates that my choice to make a career out of the military was very atypical. Attending reunions people still look at me with surprise when they find out I spent a total of 31 years between the Army and Air Force. My WWII vet uncle was a longtime member of the VFW and my Navy veteran father a member of the American Legion for many years and they both valued their affiliation with each organization. I wish Mr. Vornkahl well in his efforts. My apologies for my failure to read Dan’s piece accurately. I was thinking about the VFW building, even though Dan’s story made the distinction clear between the Legion and the VFW. No problem – thanks, Don!